Welcome to the first Club and Private Promoter specific newsletter for 2017. It has been a busy but exciting start to the year for MTBA and we hope the same for you all out in the MTB community. MTBA have extended the expression of interest period for the following Management Advisory Commissions to allow for additional EOI's to be received. Further information on the composition of the Commissions, level of commitment and expectations in regards to meetings can be found here. EOI's close 21 April 2017. One of the changes will impact affiliate reconciliations. The payment week will change from the current Wednesday to Tuesday week, to now be Tuesday to Monday. Payments will still be remitted to accounts on a Wednesday as per normal. An email will be issued when this change takes effect. All MTBA Online Service support will now need to be directed to MTBA via members@mtba.asn.au. Service requests sent direct to Register Now will no longer be actioned. Following the move to company limited by guarantee, MTBA will be changing their bank account. Please keep an eye out for an email to confirm this change and ensure you download the correct Payment Summary Form that is available on the Publications webpage or look closely at the bank details on any invoices that are issued. Affiliated clubs and private promoters are provided with Public Liability (PL) insurance through MTBA's insurance policy. This is applicable for a 12-month period whilst hosting sanctioned activities (including races and social rides, and for clubs it also covers activities such as trail building, fundraising events, committee meetings, and the like). Please be aware that the Public Liability policy provides cover for MTBA related entities only and cover does not extend to include interested parties (including Councils and/or Property Owners). Interested Parties are included on Certificates of Currency for their respective rights and interests only and no cover is afforded for them under the MTBA Public Liability insurance policy. The interested parties must have their own public liability insurance. MTBA also recommend that before the club signs a lease agreement with a Council or a Property Owner, that you send a copy to V-Insurance to ensure there isn't anything that may be above what is expected of the club in terms of responsibility. Club and Private Promoters who are interested in hosting an event on the National calendar in 2018 should keep an eye on the MTBA website, social media platforms or register your interest with the MTBA Events team. Further information will be out in the coming weeks as it becomes available. The National Series and National Championships are open to all riders with no need to qualify. Encourage your club members to challenge themselves and experience the atmosphere of a top level event. Head to the MTBA Calendar to find event dates for DH, XCM, GE and CX coming up this year! As part of the affiliation requirements, all Private Promoters must send an event and risk management plan with a completed Event Checklist form to MTBA in order to gain insurance for your nominated event. Forms are available on the Publications page of the MTBA website. Ideally the plan needs to be sent in 6-8 weeks prior to the event to ensure time for sign-off. If an event plan is received within two weeks of the event date, a $50 administration fee is payable prior to receiving the Certificate of Currency. 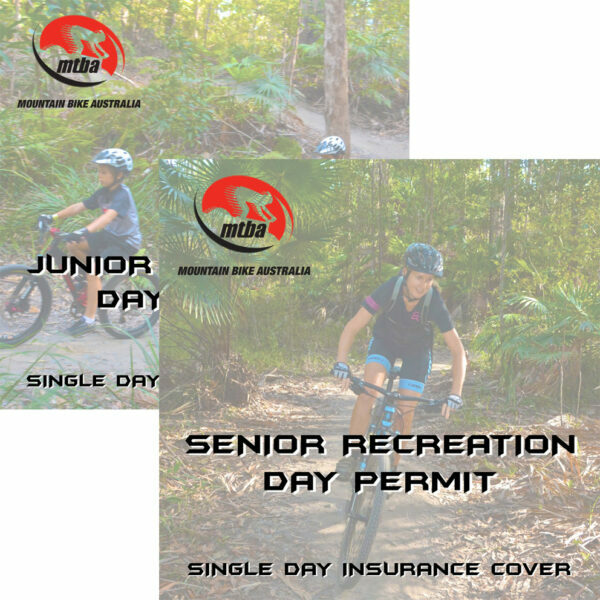 As an affiliate of MTBA, clubs and private promoters are able to issue Race Day Licences and Recreation Day Permits to non-MTBA members to provide them with Public Liability and Personal Accident insurance for the event. Should there be an incident and rider places a claim we cannot process this until it is received. All forms and funds MUST be remitted back to MTBA within two weeks of the event with a copy of the MTBA Payment Fee Summary Sheet. It is great to see the success of the Come 'n' Try Days so far. They have been made up of social rides, races and skill days. For those clubs still to organise an event, remember the Come 'n' Try Day, MTBA will provide insurance cover to all participants FREE OF CHARGE regardless of whether they are MTBA Members or not. It can be a race or a social event (however it must be a NEW event and cannot be an existing event in your club's calendar). Clubs are eligible for one Come ‘n’ Try Day event every 12 months. For more information and to register your event for approval, please visit the Come 'n' Try Day rules and regulations HERE. For over 30 years Australian Sports Foundation have helped clubs, organisations and athletes fundraise for their sport of choice. Donations made through ASF allows donors to claim a tax deduction for donations of $2 or more. If this sound like something your club would be interested in, as way to fundraise for trail maintenance, club storage or something else, further information is available HERE. Mountain Bike Australia have developed two projects in partnership with the Australian SportsFoundation. MTBA Foundation - A donation to this cause will support the development of Mountain Biking on a number of levels, by training to strengthen the skill base in commissaires and coaches, to assisting with trail development and a volunteer recognition program. To donate click HERE. MTBA Junior Development Fund - This fund has been designed to recognise Junior Athletes of all MTB disciplines who have qualified for the Australia National Team. MTBA would like your support to provide financial assistance to these athletes and their families to give them the best chance of achieving success. To donate click HERE. Does your club ever have alcohol at club races or functions? Are you aware of responsible service of alcohol laws and who is responsible at your club functions? Do you have club policies regarding smoking and alcohol? Are you providing safely prepared, healthy foods at your club? Does your club deserve recognition as a Good Sport club? Good Sports is the largest health initiative in Australian sport. It is a free program that provides support to help sporting clubs progress through three levels to provide healthy, family friendly environments. The focus is on responsible service of alcohol, smoke free environments and healthy eating options. The accreditation process is free, quick and simple. A Good Sport Community Development Officer will organise a suitable time to go through the online survey with you. Approximately 15 - 20 minutes. Once the accreditation process has taken place, you will receive an email with information on how to access you online account and how to redeem your $150 voucher to spend on Good Sport Merchandise. The program provides educational posters for your club, policies for smoke free environments and alcohol service, food handling information and junior sport nutrition advice. Below is the link to the latest Good Sport video. MTBA have added a two more handbooks available for loan to interested clubs. They provide guidance and examples across a number of different areas, MTBA's goal is to have as many clubs gain access to these resources as possible. 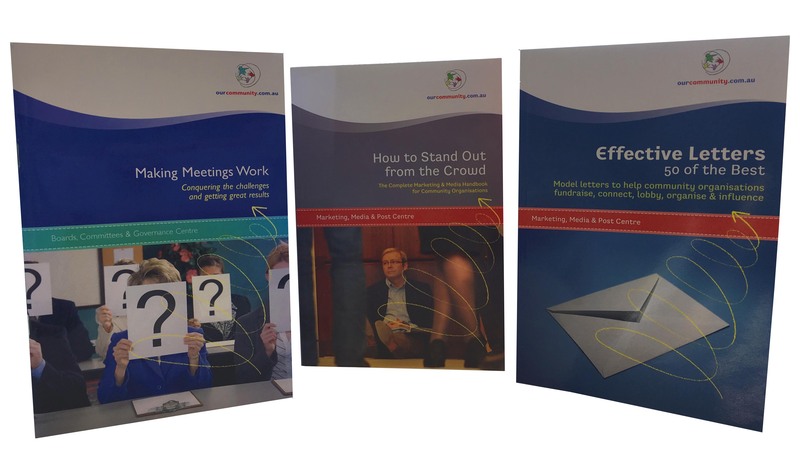 If your club would like to borrow one of these handbooks, please register your interest here. An interesting article has been released looking at how yelling at officials can have a negative impact on children. Whilst mountain biking doesn't always have the traditional form of 'referees', this information is still relevant for MTB events hosted across Australian with volunteers including commissaires and marshalls. Recreation Day Permits are now available for non-MTBA members to purchase via the MTBA Webstore. Riders can purchase the permit for individual or group social rides, nominating the date they require cover. This site is mobile obtimised to make it easy for riders to purchase on the go. 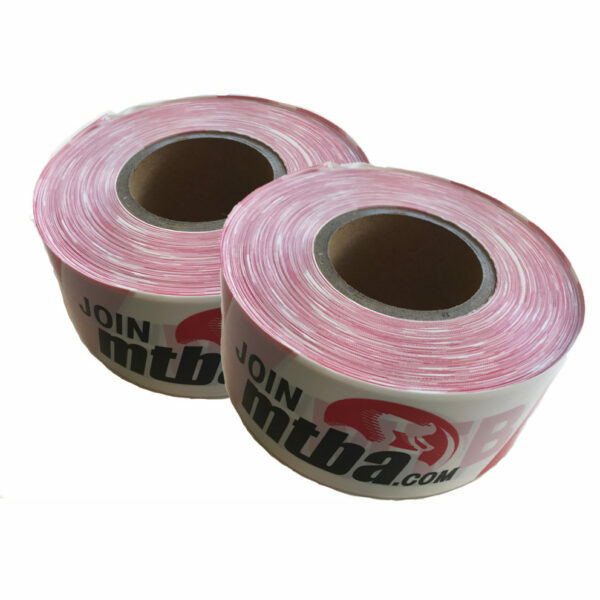 Clubs and Private Promoter can purchase MTBA branded bunting from the webstore. Available as 200m x 75mm rolls @ 90 microns thick, the prices include standard postage (Box of 12 must be sent to a business address however). Keep an eye on the member newsletter and website for new Member Benefits organised to provide further value to MTBA's members. Most recently, Maurice Blackburn have partnered with Mountain Bike Australia to offer MTBA members access to information and advice regarding their legal rights and entitlements including the following areas: Road accident Injury claims, Public Liability claims, Workers compensation claims, Temporary or Permanent Disability insurance benefits (available through superannuation funds), Income Protection, Life insurance and advice for property damage claims. Visit the Member Benefits page for further information. The Get Out, Get Active program provides funding for projects that will deliver community-based sport and recreation activities that increase opportunities for participation by women and girls who are either currently inactive, or would otherwise benefit from further participation. Previously, Get Out, Get Active funding has been provided to councils to improve women’s and girls’ sport and active recreation opportunities. In partnership with the Office of the Commonwealth Games, Round 3 has been expanded to include a new category of not-for-profit sport and recreation organisations. This has been made available through the Embracing 2018 Legacy Program for the Gold Coast 2018 Commonwealth Games. Our Minister for Sport, the Honourable Mick De Brenni announced the opening of a special ‘Disaster Recovery Program’ to assist local sport and recreation clubs in areas affected by Tropical Cyclone Debbie and its aftermath. Under the Disaster Recovery Program, clubs can apply for grants of up to $5000 to assist with urgent needs such as replacing equipment or making repairs to clubhouses or grounds. If your club has been affected by Tropical Cyclone Debbie and its aftermath, please contact your local Sport and Recreation Services Office to discuss the funding available and the application process. The Active Club Program helps active recreation and sports clubs with Program and Equipment up to $5,000 and Facility upgrade requests up to $25,000. Incorporated sport or active recreation clubs are eligible for this grant. To provide assistance to eligible organisations to develop and implement projects that will grow the sport or activity, improve services and/or address barriers to inclusion. Bankwest are all about supporting local communities across Australia. The first 20 Easy Grant application received each month ath ment the entry criteria will be up for public vote. The three groups with the highest number of votes will receive $1000 each. The remaining groups will receive $200 each. The Department and Lotterywest partner to delvier trails grants to assist in developing trail in Western Australia. Areas of grant support can be planning a trail, constructing or upgrading a trail or promoting a trail. Please note this grant does not support trail maintenance. New "How to Guides" have been uploaded to MTBA Online Services, available to all Club and Private Promoter Administrators. To access these resources, login to the Online Services website here. Once logged in select “Club Forms” from the Club Administration menu. Is there someone you know in the mountain bike community that has a great story that should be told? Is there an interesting story surrounding how your club came about? MTBA is keen to hear from you and help bring the stories within the club and the community to life. Send through a little spiel to comms@mtba.asn.au and we'll get back to you.